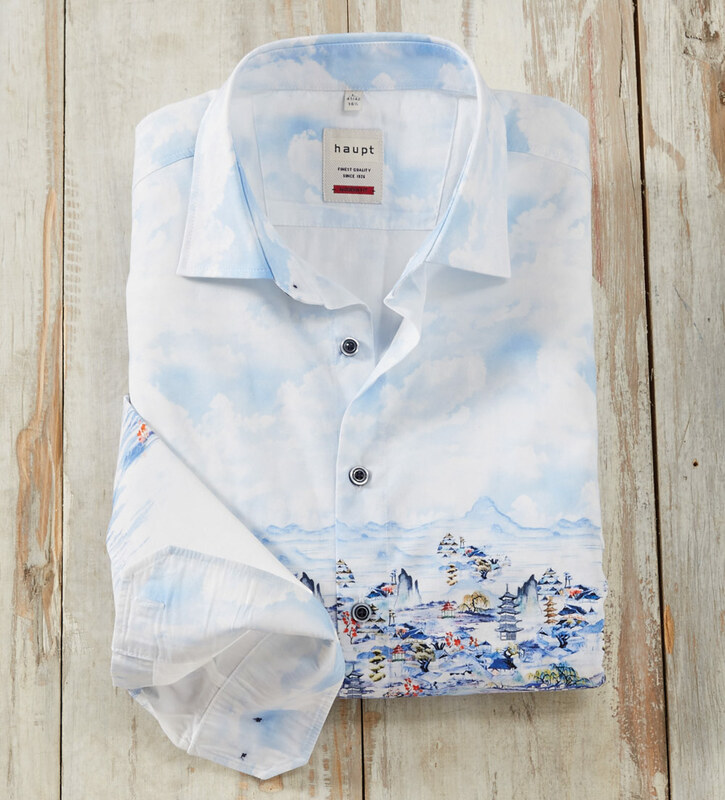 A serene landscape front and back on cool, luxurious, 100% cotton. Long sleeves, spread collar, shirttail hem. Machine wash. Made in European Union.